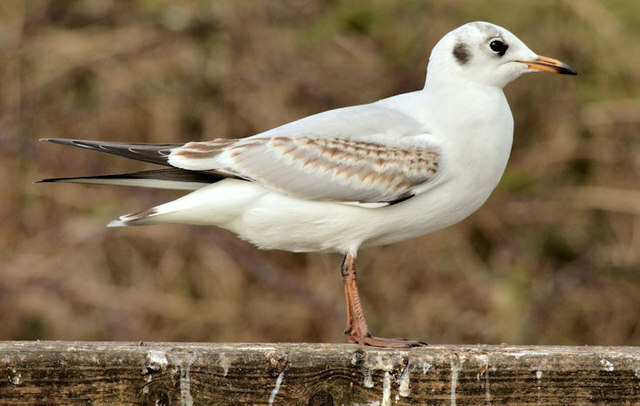 See J4774 : Black-headed gull, Kiltonga, Newtownards - February 2015(1). I’m willing to be corrected and open to suggestions but this seems to be the juvenile black-headed gull. The legs and beak lack the bright colours of the adult. The nature reserve at Kiltonga (sometimes “Dam Bottom” and also the “Duck Ponds”) is off the Belfast Road (the back road to Belfast via Bradshaw’s Brae). Much of it is very close to housing but it is an attractive walk as well as being a good spot to feed the birds.